The Crace Community Garden is throwing open the gates. Gardening enthusiasts can take part in a free organic gardening workshop, or just come along to check out this fantastic community facility and meet the growers. 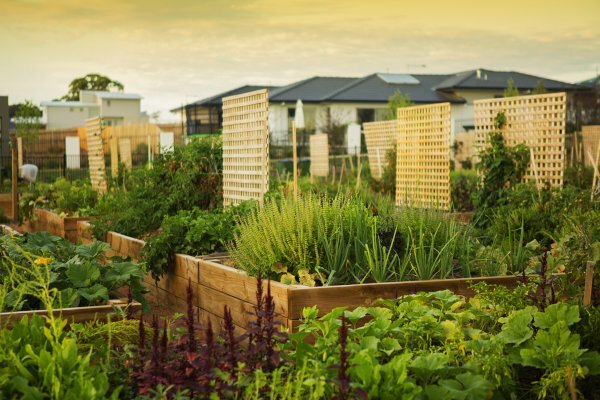 The garden, which was built by Crace Developments, is now managed by the Canberra Organic Growers Society on behalf of the community. “The community garden is a meeting place for residents and gardening enthusiasts to grow fruit and vegetables, and many of our growers enjoy sharing tips and extra produce with fellow gardeners,” said Crace Community Garden Convenor and local resident John Atwood. The Open Day takes place Sunday 26 October, from 11am – 2pm (workshop starts at 12noon) at the Crace Community Garden on Langtree Crescent in Crace.